What are the Minimum Trucking Insurance Policy Limits? 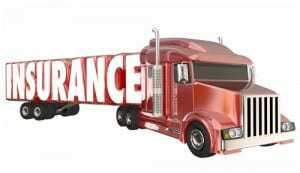 Home » Blog » What are the Minimum Trucking Insurance Policy Limits? Whether the truck operates within a state (intrastate) or across state lines (interstate) – For intrastate trucks, the state in which the truck operates may have specific laws regulating minimum insurance coverage for commercial trucks. The type of cargo being transported – Different insurance requirements can apply to trucks that transport oil, nonhazardous materials or hazardous materials. Unlike noncommercial auto insurance, commercial truck insurance policies are not typically broken down into categories of personal/bodily injury and property damage. They are usually provided as a combined single limit (CSL). Are You Struggling with an Insurance Company Over a Truck Accident Claim? $5 million for trucks carrying hazardous materials. Owner operators of trucking companies are required to have their insurance provider send proof of insurance to the FMCSA to get a motor carrier (MC) number. The MC number grants a driver or carrier the authority to legally operate and transport cargo between states. Texas law sets minimum trucking insurance requirements for commercial trucks operating within the state. According to the Texas Department of Insurance (TDI), the minimum insurance limit for a commercial truck is $500,000 (with some exceptions). Commonly, trucking companies and owner operators only opt for the minimum policy limits in an effort to reduce costs and increase profits. The minimum coverage often falls short of fully compensating truck accident victims for their injuries and losses – Some of these policy limits have not been updated for decades. Over the same period of time, inflation and medical costs have increased. This means that policy limits have not kept pace with the higher costs crash victims may face. If a trucking company with the minimum coverage is found liable for a wreck, victims who are awarded compensation in excess of the minimum policy limits may be able to recover directly from the trucking company. If you have been hurt in a truck accident or if you have lost a loved one to a fatal truck wreck, contact a Houston truck accident attorney at the Amaro Law Firm for clear answers about your potential claim and recovery options. Call (877) 892-2797 or email our firm to set up a free consultation and find out more about how we can help you. Experienced and diligent, our attorneys know how to protect truck accident victims’ rights and help them obtain the full amount of compensation they deserve. We are ready to provide you with aggressive, effective representation in any legal setting and to bring your case to the best possible outcome. Though money may never fully erase the impacts of truck wrecks, it can provide important financial support to help victims treat their injuries and focus on their recovery. Our record of success and exceptional representation has earned us a 5-star rating on Google and Facebook. Comments Off on What are the Minimum Trucking Insurance Policy Limits?